Thursday 31st October is a big, big day in trentbarton land … it’s our birthday and the day we officially hit the big 100! And, as ever, we want to celebrate in style – and you’re all invited! 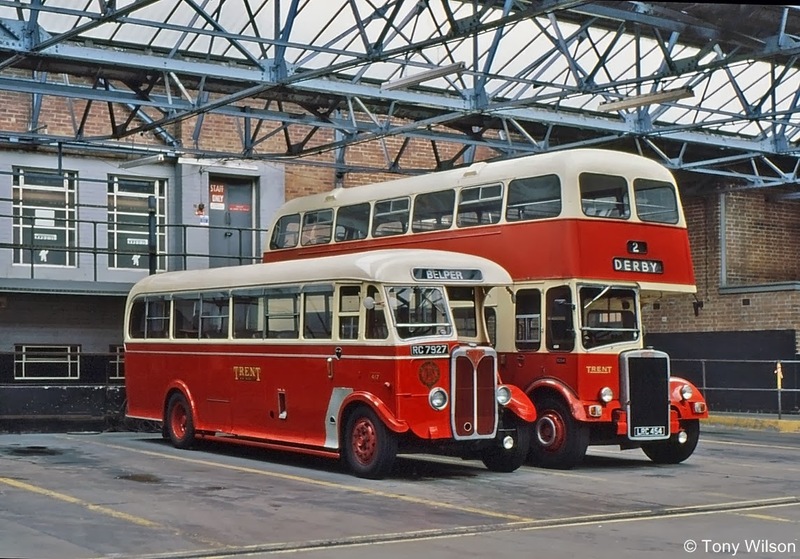 Throughout the day, vintage buses of yesteryear will be running for free on the very first routes of the Trent Motor Traction Company – what we now call i4 between Derby and Nottingham and swift between Ashbourne and Derby. Whilst you’re all welcome to enjoy these wonderful relics of times gone by, we will be encouraging you to part with your hard-earned pennies and pounds to help support our charity of the year, The Lewis Mighty Fund. Look out for our own i4 and swift buses, which will also have collection buckets on them too. And that’s not all… several lucky customers throughout the day will get their hands on £100 in cool, hard cash as a special thank you for supporting us throughout the years. 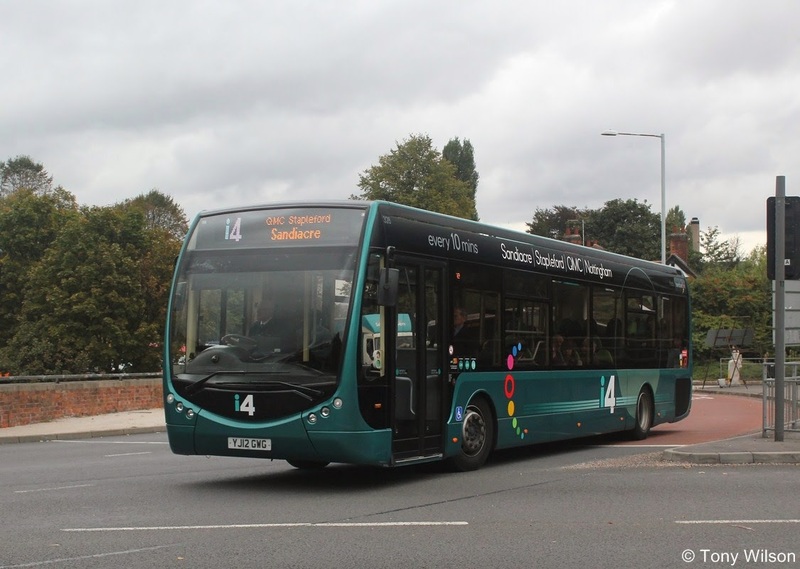 You could be surprised anywhere, at any time across trentbarton land throughout the day on board one of our buses – keep watching here and on Facebook and Twitter for more details! Read our 100 year story here. We’re really looking forward to celebrating our 100th birthday with you! unsubscribe from further communications from trent barton. As shown in the text above vintage buses are scheduled to operate over the i4 and the Swift routes. Below number 728, one of the Trent fleet of Optare Tempos passed through the island roundabout near to the Queens Medical Centre when on way to Derby from Nottingham during October 2013. 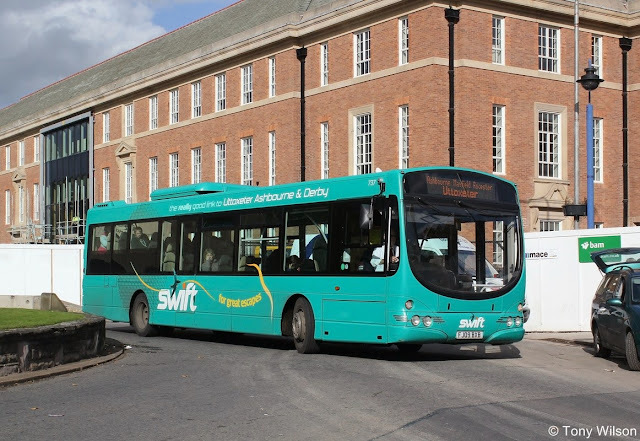 The vintage vehicles are also scheduled to run on the Swift-named route between Derby and Ashbourne from where Trent number 737 a Wright bodied Volvo B7RLE in dedicated livery passed by the Council House in Morledge at Derby during 2012, as it headed to the end of the route at the bus station. Whether the following two interesting preservation pieces will perform remains to be seen. 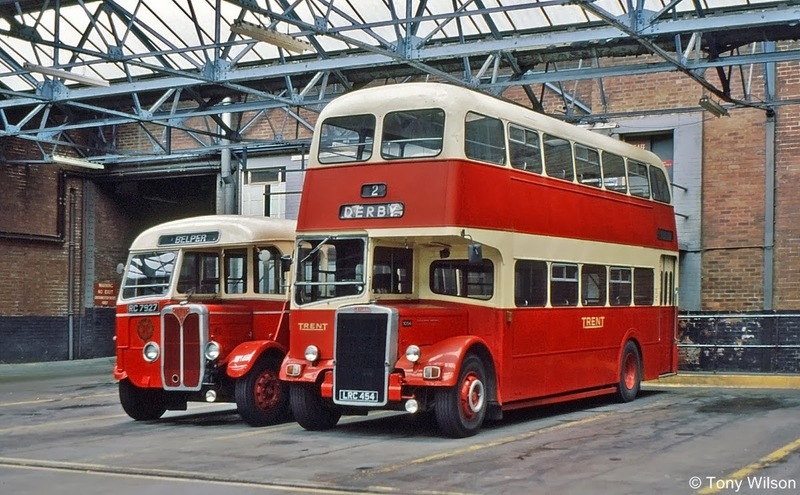 The single-deck is a 1940 built BMMO SON with Willowbrook bodywork, the double-deck a 1958 Leyland Titan PD3 with bodywork from the same stable. Both were seen several years ago parked up in the Trent bus garage in Belper. And very nice they looked too.